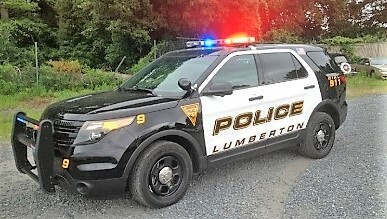 Between July 2017 and February 2018, Lumberton Police issued the following number of criminal charges and traffic violations: Indictable Felony Offenses – 135; Non-indictable Misdemeanor Offenses – 219; Other Criminal Offenses – 60; DWI/DUI – 23; Traffic Violations – 2,580. Considering the fact that Lumbertown Township is a fairly small town, these numbers are very high. This demonstrates that the Lumberton Police Department is active in investigating and prosecuting criminal and traffic violations throughout the town’s limits. If you have been charged with traffic violations and certain criminal offenses, then you can expect a mandatory court appearance with the Lumberton NJ Municipal Court located at the Township Municipal Complex. Before your court appearance, it is highly recommended that you consult with an experienced Burlington County Criminal Defense Lawyer about your alleged charges. Find out what penalties you may be subject to and how you can fight back. The Law Offices of Proetta & Oliver defend clients accused of DWI, DUI, Disorderly Conduct, Theft, Shoplifting, Aggravated Assault, Marijuana Possession, Heroin Distribution, Unlawful Possession of a Weapon, Resisting Arrest and any other criminal or traffic offense under New Jersey law. Our firm has been appearing before the Burlington County Superior Court and local municipalities for years and we have the experience and knowledge necessary to represent you in your matter. Firm Partner and Former New Jersey Deputy Attorney General, William C. Fay, IV, spent part of his career prosecuting cases for the State and heads our Mount Laurel Office. Call (609) 850-8284 today for an immediate consultation with Mr. Fay or another criminal defense lawyer. Our firm can be reached seven (7) days a week for your convenience. Where is the Lumberton Municipal Court? If you are a resident, then I do not need to tell you that Lumberton Township is a small and quiet township located in Burlington County. Surrounded by Hainesport, Mount Holly, Mount Laurel, Pemberton and Southampton, Lumberton does see quite a bit of commuter traffic. According to the 2010 Census, Lumberton’s population is slightly over 12,000, which is a significant increase from previous census years. For more information on Lumberton Township please check out there website by clicking the link. Whether you are facing your first criminal offense or your tenth, the concern remains. However, consulting with and hiring the right attorney can relieve your stress and nervousness. If you or someone you love have been arrested and issued a criminal summons complaint, contact the Burlington County lawyers at Proetta & Oliver. Our team of trial attorneys is comprised of former State Deputy Attorney General and experienced criminal defense lawyers. For an immediate consultation or to schedule a meeting at our Office, call (609) 850-8284 today. The initial consultation is always provided free of charge.